BBE Competition Final Rounds – The global community for audio culture. Now, it’s all about the community feedback. At the end of the month we’ll be sending the top 5 Cloudcasts, based on total number of favorites, to the judgin panel, including: DJ Vadim, Richy Pitch and Kon&Amir – who will be helping to select the winning Cloudcaster from the shortlist. The winner will get the unique opportunity to mix and record a full mixtape, from across a select portion of the BBE catalogue, to be released on BBE records later in the year. 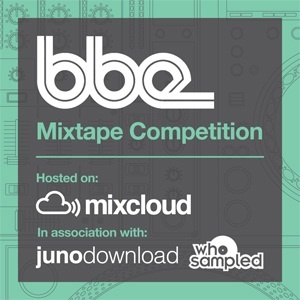 So get favoring your favorite BBE Competition Cloudcasts now!